It isn’t difficult to determine what little boy’s like, right? Superheroes, cars, trucks, dinosaurs are just a few things that come to mind. 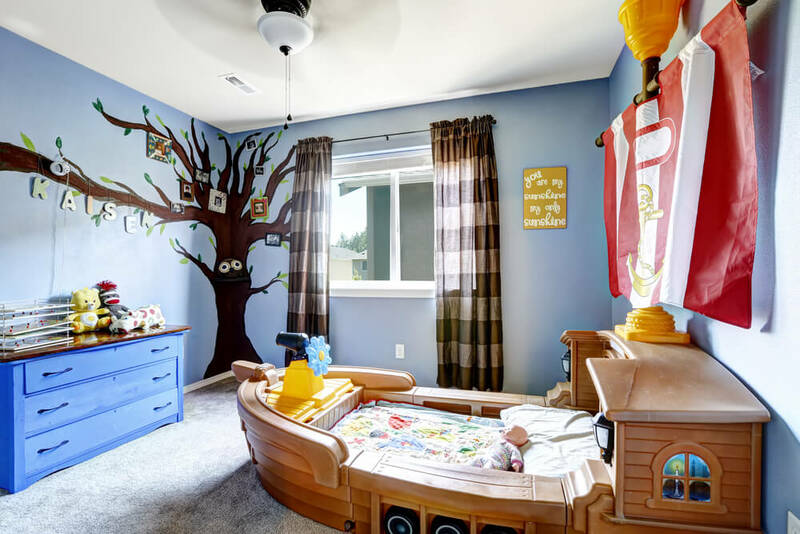 However, decorating a boy’s room to reflect their interests without suffering from sensory overload can be difficult. 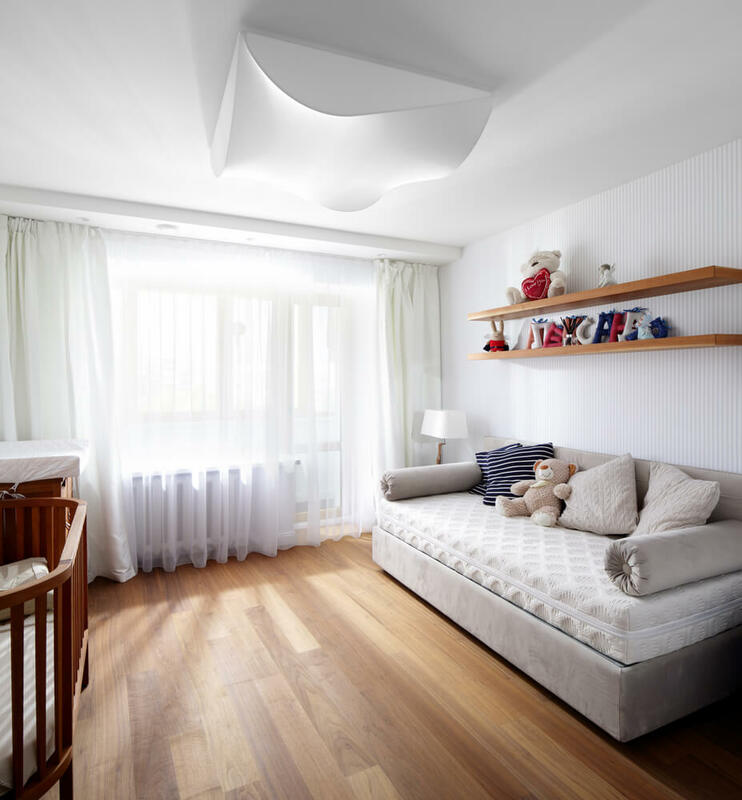 In addition, while it can be important to decorate a child’s room for play, it is even more important to decorate it for rest. 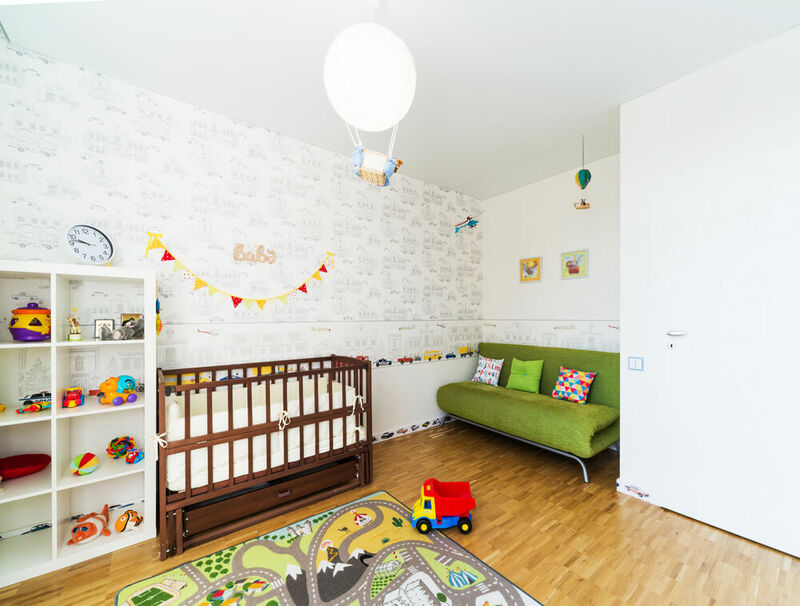 Follow the tips below to create the perfect boy’s room for play and rest. 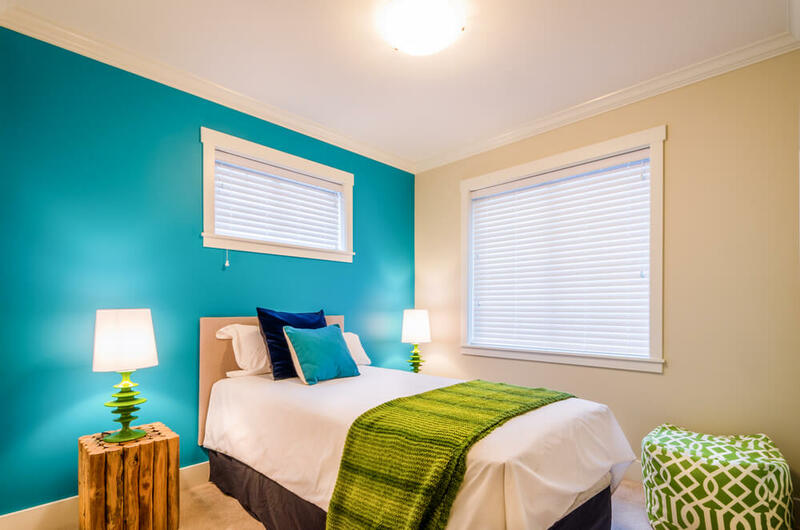 To create a space that is cohesive and colorful, choose a jumping off point for your color scheme. 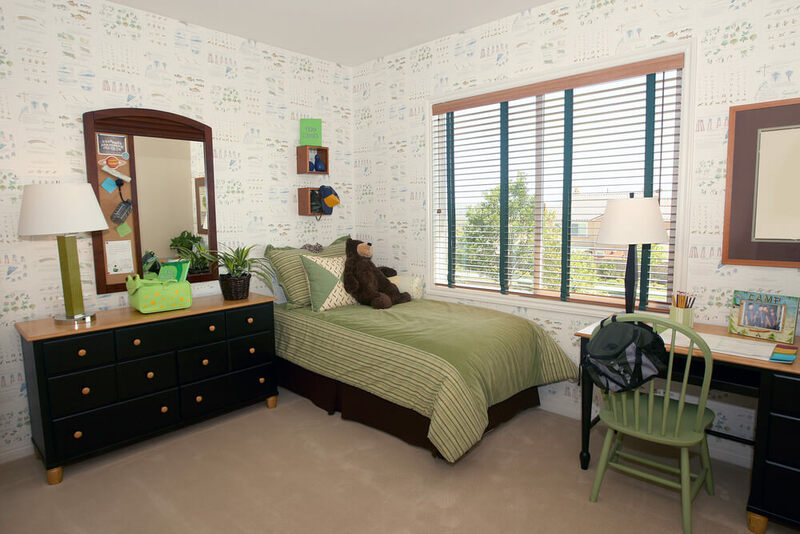 Inspiration can be drawn from the window treatments or bed linens or even the boy’s favorite sports team or superhero. 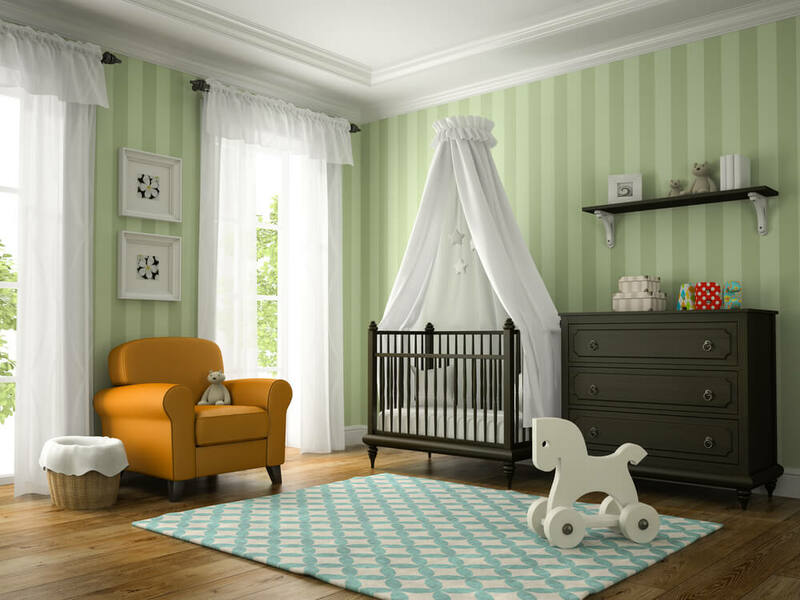 A neutral wall color can be accented by a painted detail like horizontal stripes or even a tree (see below). The addition of a rug provides a soft place for children to play. It also creates a cozy atmosphere in the space. If space allows, a comfy chair can provide a place for parent to rock a baby to sleep or as a soft spot sit and read. 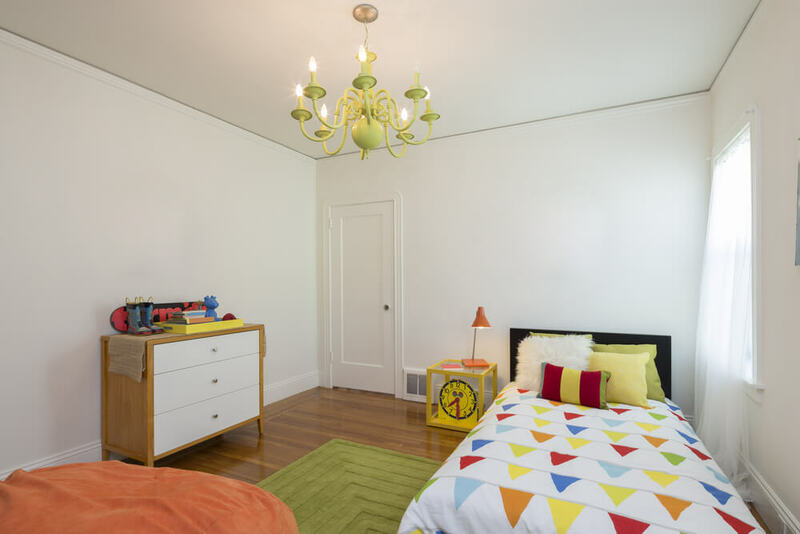 Storage is another important component of children’s bedrooms as toys can quickly create a disaster zone. You can use a combination of closed and open storage solutions to ensure that everything has a place. Items such as books, stuffed animals and small toys can be displayed on open shelving. Not only do they provide hours of entertainment but they also add a unique, decorative element to the space. Shallow open shelving can display a collection of Matchbox cars and trucks. A dresser provides hidden storage for clothing, socks and miscellaneous items. A desk is a useful addition to any child’s room, especially as they approach school age. While a desk is perfect for completing homework it is also ideal as a place to build LEGO™. The drawers are also great for hiding those tiny building blocks to keep them away from younger siblings. 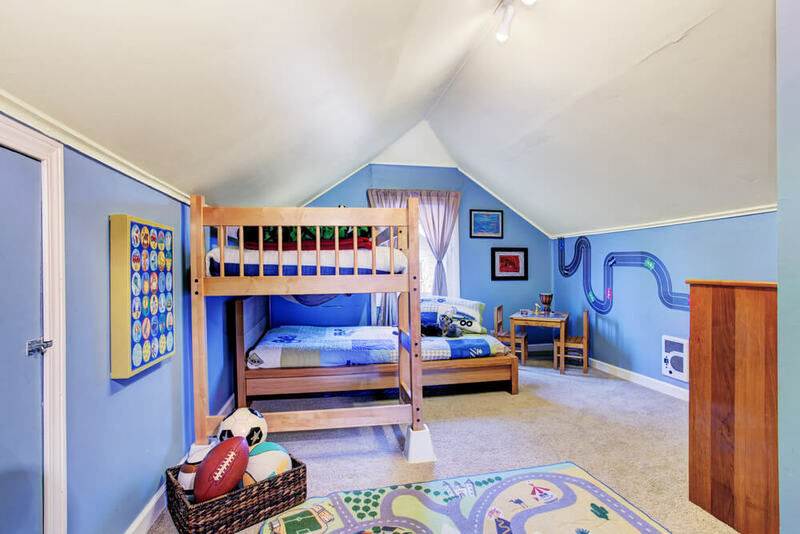 Feel free to view the images below for inspiration on decorating your boy’s room. 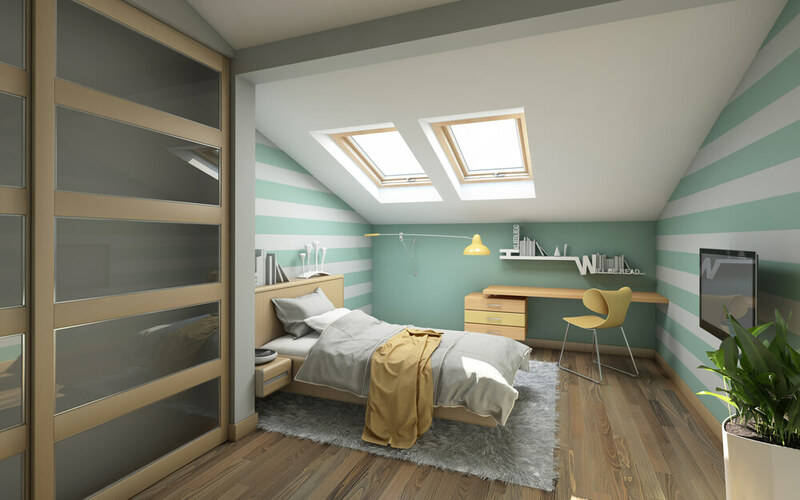 Whether you are preparing a room for one or two, you are sure to find great ideas that fit your budget and design style.